Seek To Know The Truth: The Curse of Ham? Did you know that some skeptics continue to make the false charge that the Bible is racist? Typically, they cite the so-called “curse of Ham,” claiming that the Bible teaches that a curse was placed on people with very dark skin and who eventually settled in Africa. There is just one problem with the “curse of Ham”—it’s not in the Bible! 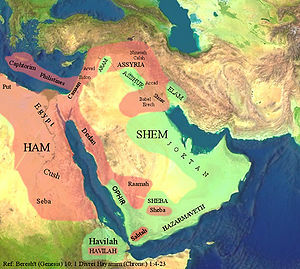 In Genesis Chapter 9, there is an incident recorded about Noah, his son Ham, and Ham’s son Canaan. In that chapter, it indicates that Noah prophesied that Canaan and his descendants would receive the curse. It had nothing to do with skin color but everything to do with a sinful, rebellious son of Ham. In fact, the people of Sodom and Gomorrah—cites synonymous with sexual immorality—were Canaan’s descendants. Or contact Answers In Genesis at www.AnswersInGenesis.org for other creation resources.